Happy Literary Friday, My Lovelies! As most of you've noticed, I spent the holidays reading tons of Christmas books: I've blogged about most of them, but I have three more to discuss today. The popular Mary Kay Andrews delivers a tasty holiday treat as she brings back the winning characters from Savannah Blues and Savannah Breeze for a little Southern cheer. It's the week before Christmas, and antiques dealer Weezie Foley is in a frenzy to do up her shop for the Savannah historical district window decorating contest-which she intends to win. She throws herself into putting up a Graceland/Blue Christmas motif, with lots of tinsel, an aluminum tree, and all kinds of tacky retro stuff. The project takes up so much time that Weezie is ready to shoot herself with her glue gun by the time she's done, but the results are stunning. She's sure she's one-upped the owners of the trendy shop around the corner. But suddenly, things go missing from Weezie's display, and there seems to be a mysterious midnight visitor to her shop. Still, Weezie has high hopes for the holiday-maybe in the form of an engagement ring from her chef boyfriend. But Daniel, always moody at the holidays, seems more distant than usual. Throw in Weezie's decidedly odd family, a 1950s Christmas tree pin, and even a little help from the King himself, and maybe there will be a pocketful of miracles for Weezie this Christmas eve. I enjoyed this mystery even better than Christmas Bliss (its sequel). The Christmas Decorating Contest sponsored by the Savannah Historical District launched some fun rivalry and one-upmanship on Weezie's block. Her friends, neighbors, and family complete a lively ensemble cast that always entertains. The only black spot in the book is the disastrous holiday dinner involving Daniel's horrible brothers and sisters-in-law. I wanted to take a bar of soap to their mouths halfway through dinner. Still, the story has a happy, feel good ending that will make your heart melt! It’s Christmastime in 1905 New York City, and for once, Molly Murphy Sullivan is looking forward to the approaching holidays. She has a family of her own now: she and Daniel have a baby son and 12-year-old Bridie is living with them as their ward. As Molly and the children listen to carolers in the street, they hear a lovely little voice and see a beggar girl, huddled in a doorway, singing Away in a Manger. Bridie is touched by the girl’s ragged clothes and wants to help her out if they can. They give her a quarter, only to watch a bigger boy take it from her. But it turns out he is the girl’s brother, and they’ve come from England and are living with an aunt who mistreats them terribly. When the young boy is accused of stealing a purse, Molly intervenes on his behalf. These children are clearly not the usual city waifs. They are well-spoken and used to better things. So who are they? And what has happened to their mother? As Molly looks for the answers to these questions, she gets drawn into an investigation that will take her up to the highest levels of New York society. This is the first Molly Murphy Mystery I've ever read, and I enjoyed it very much. Molly is smart and sassy, and although this is the fifteenth book in the series, I truly didn't feel "lost." Sure, I've missed a lot of her back story, but that didn't hinder my understanding of the mystery at all. I enjoyed the historical details in the story: I always appreciate it when authors research historical minutiae and include it in their stories. Thanks, Rhys Bowen! The mystery maintained my attention, and it was hard to put down during the busy Christmas season. I highly recommend Away in a Manger, and I will read more Molly Murphy mysteries in the future. Meg Hobart has everything: a happy marriage to a handsome, successful husband, a beautiful home in Charlotte, North Carolina, and three wonderful children. But it all comes crashing down around her the day she learns that her husband, James, has been living a lie—and has brought the family to financial ruin. Penniless and homeless, the Hobarts pack up what little they still possess and leave behind their golden life for good. But it’s not the material things Meg finds herself mourning. Instead, she misses the certainty that she should remain married to James, who has betrayed her trust so thoughtlessly. Worse, she is suddenly very aware of just how spoiled her children have become. Meg wonders what her family has really sacrificed in their pursuit of the American dream. A frightening twist of fate forces the Hobarts to take refuge with a kind Amish family in Pennsylvania, where they find themselves in a home with no computers, no cell phones, nothing the children consider fashionable or fun. 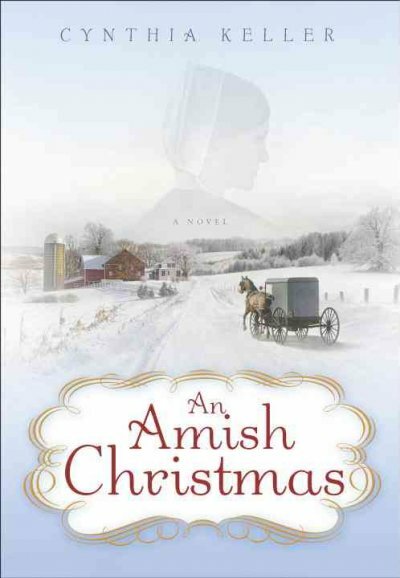 Her uncooperative brood confined to the Amish world of hard work and tradition, their futures entirely uncertain, Meg fears she can never make her family whole again. Celebrating life’s simplest but most essential values, packed with laughter and tears, this is a story of forgiveness and the power of love. You will never forget the special moment in time that is An Amish Christmas. I haven't read many Amish stories, and I was curious about this one when I saw it in our local library. First of all, Meg Hobart reminds me a lot of myself because she enjoys celebrating the little things in life, and she likes to make the little things into something big. For example, she enjoys baking fun treats for holidays even though her children are older. She also enjoys her role as wife and mother, and she's very organized. I like her character, but her husband James is a complete jerk. After what he does to his family and his marriage he deserves to be subjected to everything Karma has to throw at him. It's hard for me to believe that Meg didn't snap and so something drastic to him. Meg's two older children were not very delightful, either. Mayhap Meg should have put the oven mitt down and used her hands to take away stuff from her ungrateful teenagers, but I digress. The story was slow in the beginning, but I appreciated the pace once the Hobart family arrives in Amish Country. I personally think it would be a treat to spend a quiet Christmas Holiday focusing on what's truly important, to stop the nonsense and just be in the moment. One way Meg and I differ is her capacity to forgive. I wouldn't ever want it to be put to the test like that, but as they say....to forgive is divine. Blue Christmas was the first MKA book i read and i was hooked. I have read everything and just finished beach town last night!! I adore her characters and light writing style. 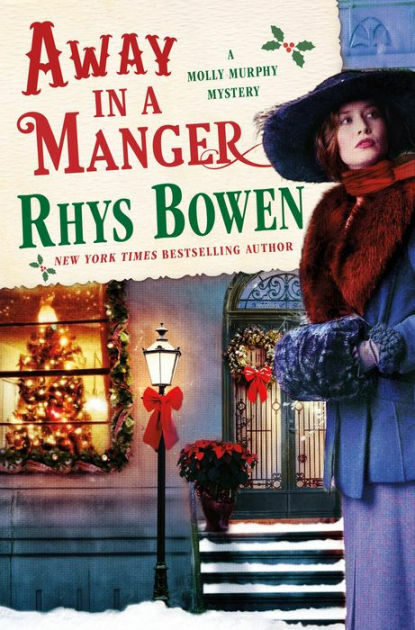 I love mysteries so I am going to check out Rhys Bowen. 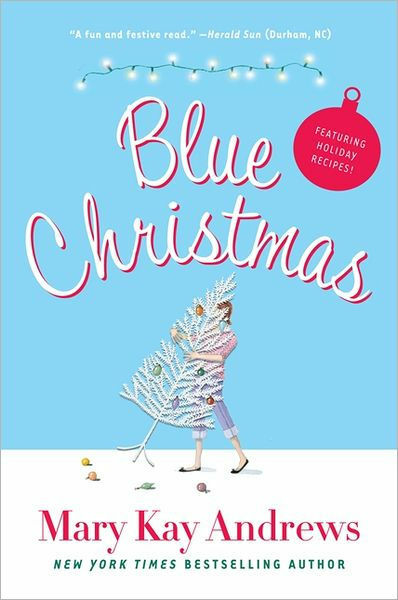 I read Christmas Bliss, too, and I had read Blue Christmas before. I am not familiar with Rhys Bowen, but I will check her out. Thanks for the link party! I think I have added two more to my reading list _Away_in_a_Manger_ and _An_Amish_Christmas_ sounds good! Thanks for the reviews and the party!